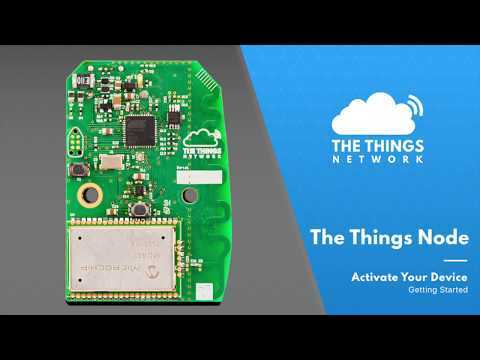 The Things Node is the perfect LoRa node to start prototyping your ideas without having to deal with bread boards, wires and sensors. The Things Node is based off the SparkFun Pro Micro - 3.3V/8Mhz with added Microchip LoRaWAN module and temperature sensor, NXP’s digital accelerometer, a light sensor, button and RGB LED. All this is packaged in a matchbox-sized waterproof (IP54) casing with 3 AAA batteries to power it for months of usage. Our Arduino library comes with a class specifically for The Things Node. Configure and read sensors without having to worry about the underlying sensor registries. Once you have validated your idea, the next step could be to use The Things Uno and different sensors to find out what to print on a custom board to take into production.